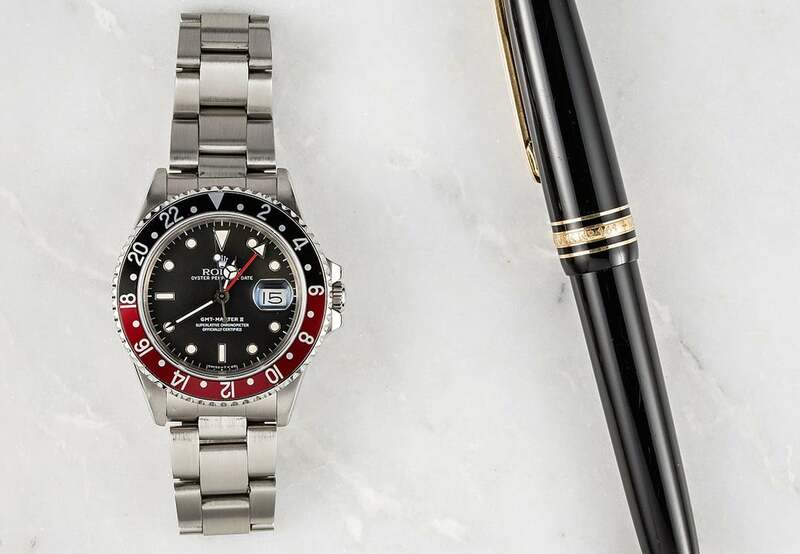 As any collector knows, when Rolex rolls out a new version of one of their most iconic designs, modernizes it with a host of never-before-seen features and then keeps the production run relatively short, that watch is going to become a hot ticket on the pre-owned market. There are a number of such models in the Rolex stable, but the Fat Lady herself, the original GMT-Master II ref. 16760, remains one of the more enduring must-haves. 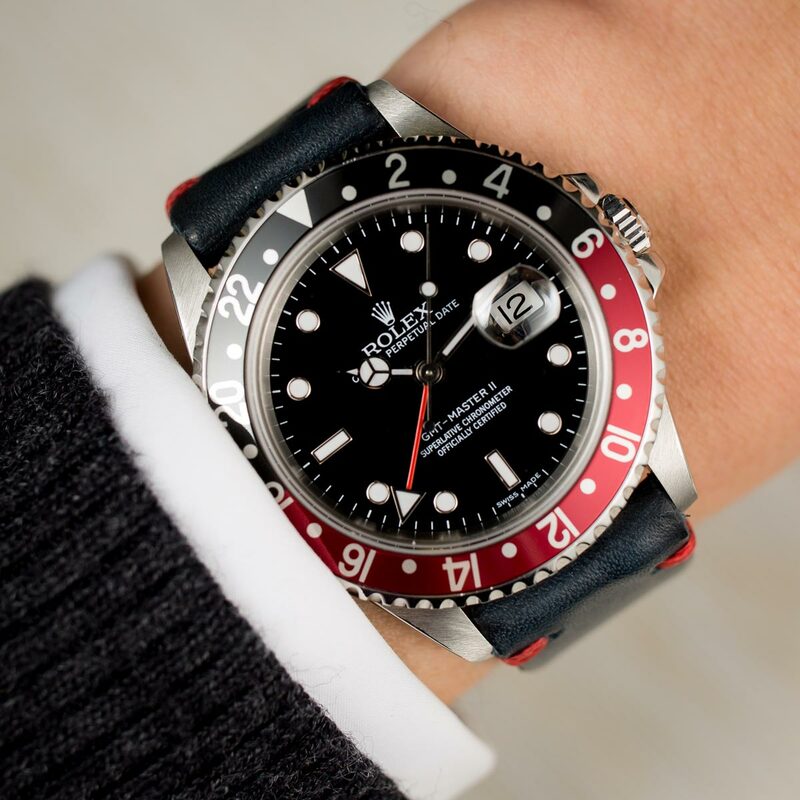 A GMT-Master Coke has a black and red bezel. 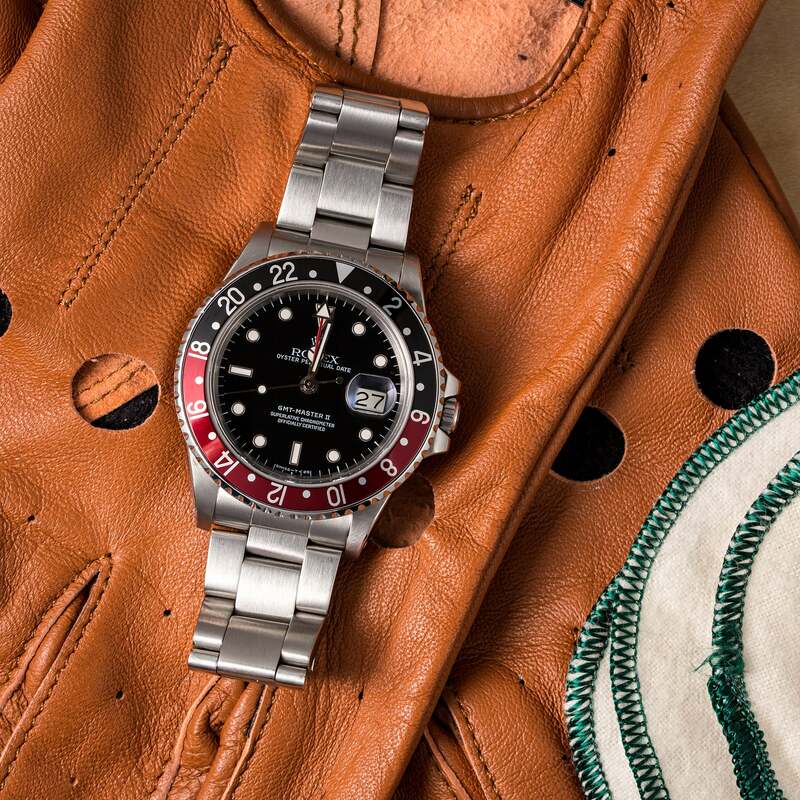 Perhaps the most corner-of-the-eye recognizable watch in the whole catalog, the bi-color bezel of the GMT-Masters have ensured they’ve never been mistaken for the Submariner, although the two series’ have always been stylistically similar and were released around the same time in the mid-fifties. Developed in conjunction with Pan Am as a way for their pilots to keep track of different time zones during transatlantic flights, the GMT-Master quickly became a favorite among military pilots too and even found their way on to the wrists of NASA’s astronauts—Jack “Houston, we have a problem” Swigert wore one on the ill-fated Apollo 13 mission. 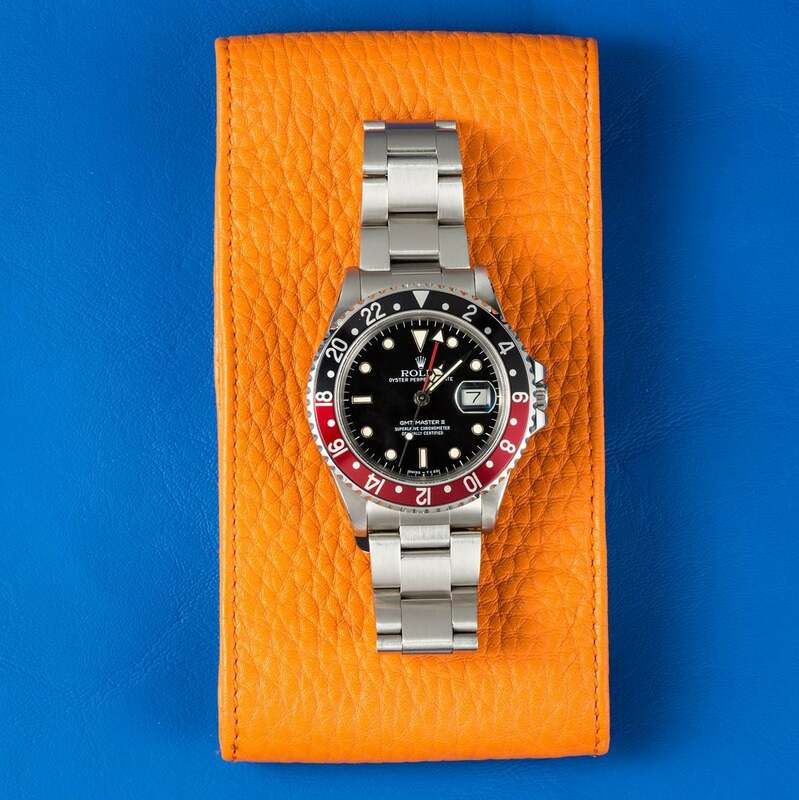 The Rolex GMT-Master II ref. 16760 with a black and red bezel. They also won an enthusiastic fan base among high-mileage business travelers, who found having both the local and home time zones set on their watch offset some of the mental strains of jetlag. Such was the watch’s popularity, the original GMT-Master stayed in production right up until 1999. It had, of course, gone through a host of major updates in its nearly 45-year lifespan, but even the introduction of its supposed replacement, the first of the GMT-Master II range in 1983, couldn’t clip its wings. The body-shaming nickname for that initial reference, the 16760, alternatively known by the more complimentary moniker ‘Sophia Loren’, came from the elegant curves of its generously enhanced proportions, a necessary design feature in order to house the all-new caliber inside, the cal. 3085. This watch is nicknamed the Coke for its black and red color scheme. Although the quickset date function had to be sacrificed, the new movement was a logical addition to the ultimate travelers watch, as it finally allowed for the uncoupling of the hour hand from the GMT hand. This meant that setting the second time zone at your destination was now instantaneous, with the arrow tipped 24-hour hand able to jump backwards or forwards independently. As a result, it was even possible to keep track of a third timezone by reading it off that eye-catching rotating bezel. Rolex has released their bi-color ceramic bezel. Along with being aesthetically attractive and working to set the watch apart from other sports models in the range, the contrasting colors on the bezel played an important role in helping jetlagged wearers distinguish between night and day as they traveled between time zones. The original watch from 1953 had quickly picked up the label ‘Pepsi’ for its blue and red bezel, with the blue representing the daytime and red the night. It was joined in 1963 by the brown and gold ‘Root Beer’ (otherwise known in some circles as the Clint Eastwood). 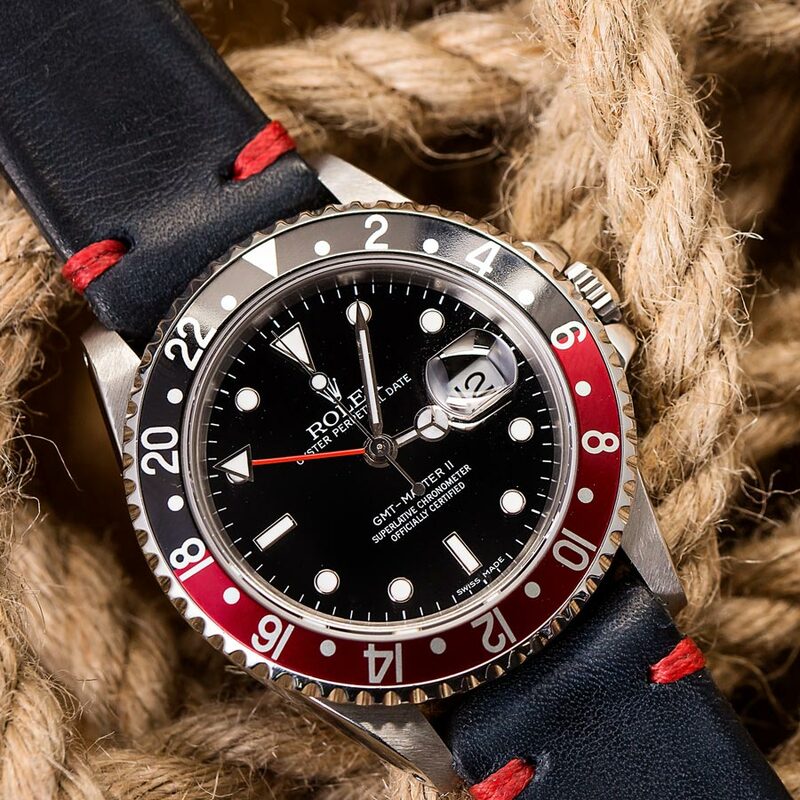 The Fat Lady was the first in the range to sport a black and red surround, instantly dubbed the ‘Coke’ bezel by collectors and ensuring the 16760 became the watch with one of the highest numbers of unofficial nicknames attached to it in Rolex’s long history. It was the only color scheme available during its relatively short run, and it never appeared in a precious metal variant, unlike the GMT-Master, which had introduced steel/gold and all-gold luxury versions. The Fat Lady was always stainless steel. 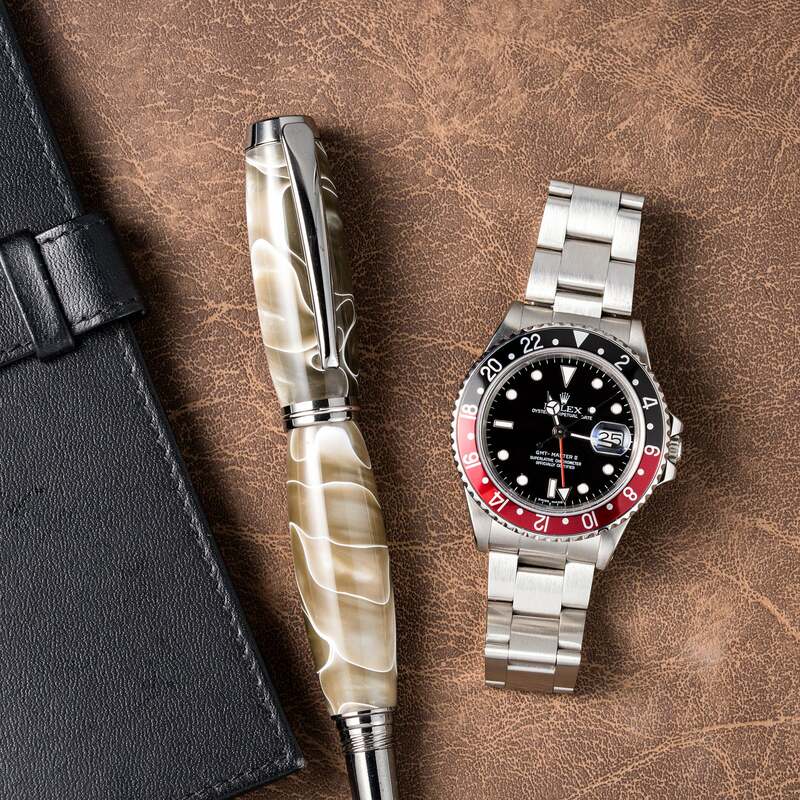 The Fat Lady is a stainless steel GMT-Master II. A number of other firsts also found their way on to the original GMT-Master II. The acrylic crystal was replaced with the more scratch resistant sapphire and it became the first in the series to use white gold to surround the indexes. Both features are now standard issue on all Rolexes. The 16760, while not quite ‘blink and you’ll miss it’, was only in production from 1983 to 1988. Its replacement, the 16710, was powered by a newer, slimmer caliber (the 3185) that, while identical in functions, allowed for a return to more slender, graceful bodywork. Would you add this to your watch collection? 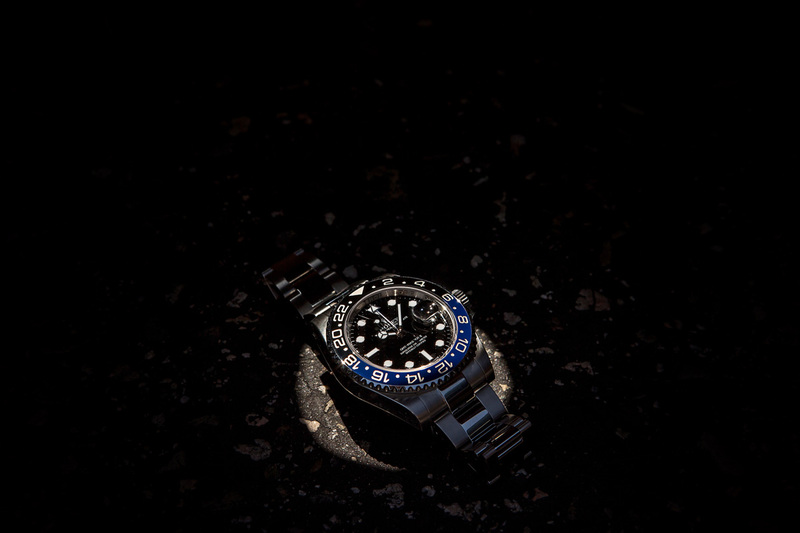 The GMT series has enjoyed a strong following among Rolex devotees ever since its introduction. Seen as the archetypal aviator’s watch in the same way that the Submariner has always been the go-to for professional divers, the first of the GMT-Master II offerings has garnered a warmly affectionate fan base among collectors. Its never-before-seen coloration and host of innovative qualities make it an important milestone in the history of the brand, and its short five-year run lend it that indispensable air of exclusivity. Even so, the 16760 represents something of a bargain on the pre-owned market for a model with so much pedigree. While finding an example in good condition can take some searching, those new to the world of vintage watches are often pleasantly surprised by just how attainable they can be and, for many a fan, it marks the start of their journey into Rolex collecting. Adding the GMT-Master II to your watch box will be a perfect addition.